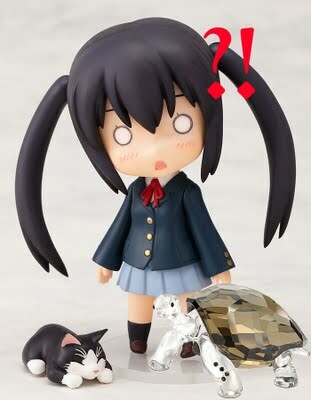 Anime Figures and... Swarovski Crystals? With the anime figure business doing well, things are going full circle and I'm planning on bringing ALL aspects of life's little journeys into view. Yes, in due time you will probably see me doing Flash animations again, AMVs, video games and bringing back the long overdue anime sections to the site. Also, hey, my site is called Chuck's Anime Shrine and a shrine can have some crystals in it, too.